I'm sure my love for neutrals is known by now. 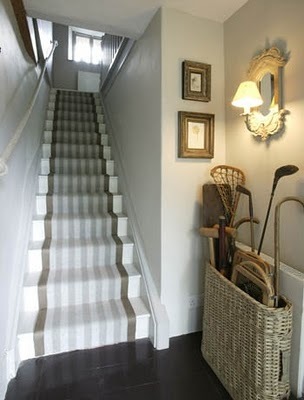 This stair runner is no exception. The colors are so great and I adore that tall, narrow basket too!